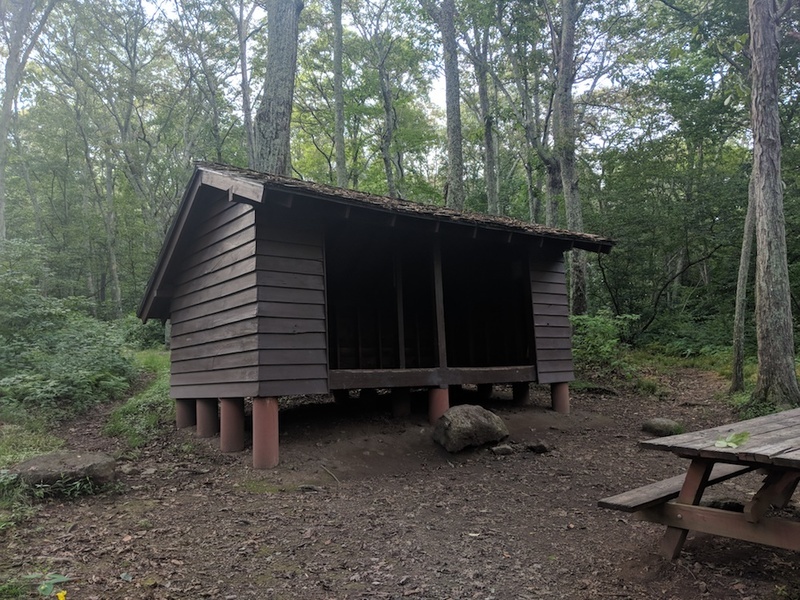 The Seeley-Woodworth Shelter, built in 1984 by volunteers from the Natural Bridge Appalachian Trail Club, is named in honor of two long-time NBATC members -- Harold Seeley and Jack Woodworth. This shelter is a typical example of the USFS plank sided shelter design and its construction was part of a relocation of several shelters in this section of the Trail, either to eliminate shelters too close to roads, or to remove others from wilderness areas. The Seeley-Woodworth Shelter is maintained by the Natural Bridge Appalachian Trail Club. Mills Kelly, “Seeley-Woodworth Shelter (2018),” Appalachian Trail Histories, accessed April 23, 2019, http://appalachiantrailhistory.org/items/show/681.